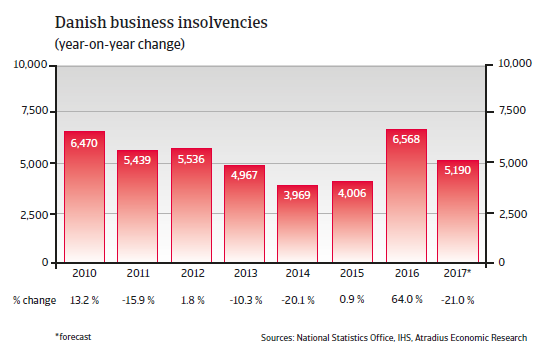 Danish business insolvencies increased sharply in 2016 due to the introduction of a new form of company in official statistics and the clearing of a backlog of insolvencies. 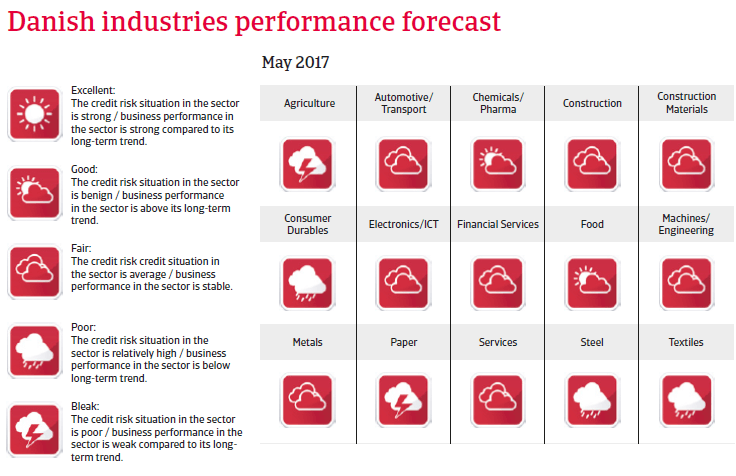 As such, it is difficult to provide an accurate forecast on real businesses and insolvency development in 2017. It is expected that business failures will decline by about 20% this year, an adjustment from exceptionally high levels in 2016. 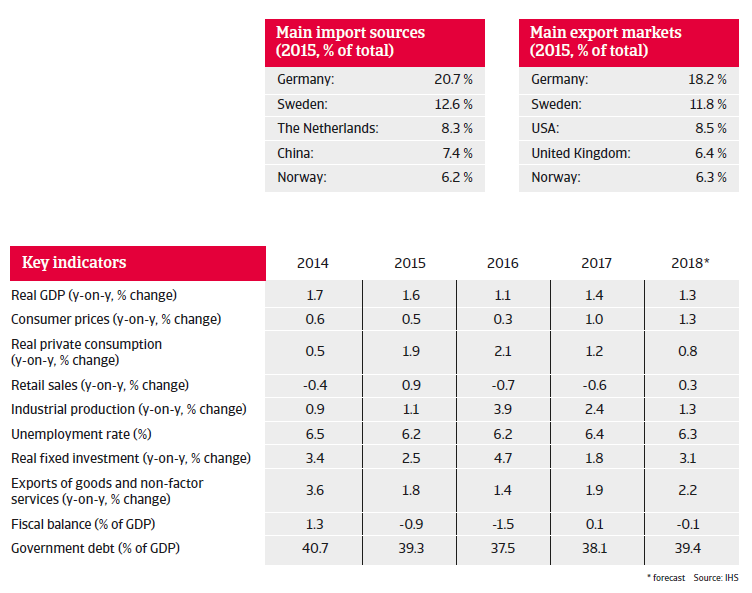 The Danish economy is expected to grow 1.4% in 2017, driven by investment and exports. 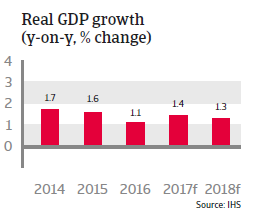 The Danish economy has regained some of its international competitiveness due to structural reforms that addressed the issue of high labour costs. Avoiding a major appreciation of the krone against the euro helps Danish firms remain competitive in their eurozone export destinations. 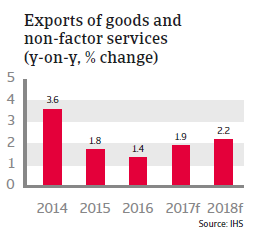 Danish exporters are also expected to benefit from rising demand as a result of a devalued euro. However, private consumption growth should remain subdued in 2017. Public finances are healthy, with government debt below 40% of GDP. This provides room for more fiscal stimulus.